...Radio 2 breakfast show in the back of his Bentley Arnage T.
It’s that ‘classic Bentley for the price of a new hatchback’ story. The one where you’re invited to suspend your disbelief and imagine yourself the custodian of a 20-year-old, luxury sports saloon powered by a ruinously thirsty V8. A car that cost over £140,000 new and for which many straightforward maintenance jobs will run to four figures. It is, of course, a Bentley Arnage and, yes, this first product of Volkswagen’s purchase of Bentley in 1998 (although the model had already been developed by former company owner Vickers) can be yours from £15,000, the price of a new Ford Fiesta Zetec 1.0T Ecoboost 3dr, after a discount. It’ll be powered by a BMW 4.4-litre turbo V8, by the way. Cars with Crewe’s traditional 6.75-litre V8 that VW hastily substituted the following year (1999) start from around £17,000. Borrowed from the old Turbo R, the 6.75 produced 395bhp but, more impressive, 616lb ft of torque. 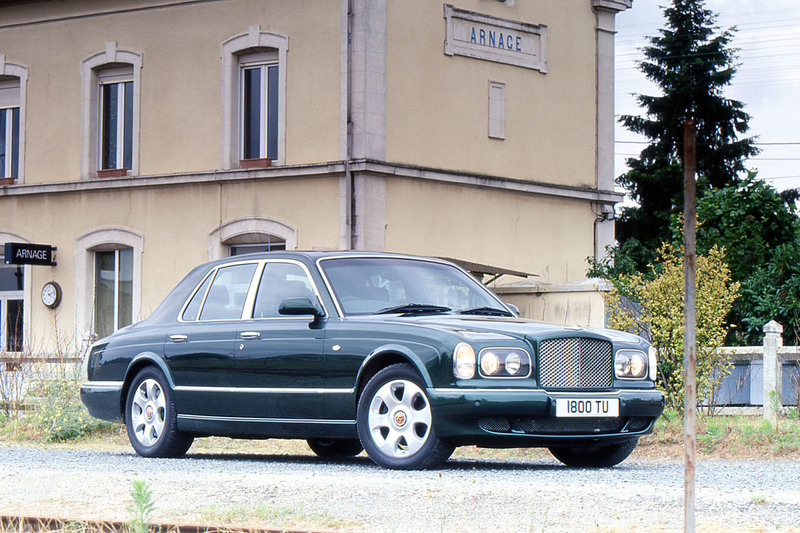 Bentley enthusiasts felt the Arnage at last had the engine it deserved, since the smaller BMW unit produced just 344bhp and a dismal 420lb ft. The German engine was bang up to date, though: easier to live with, more responsive and more economical. If you can see beyond the allure of an early 6.75, a 4.4 Arnage is a better buy. To distinguish the two cars, those with the BMW engine were rebranded Green Label and those with the revised 6.75 were called Red Label. 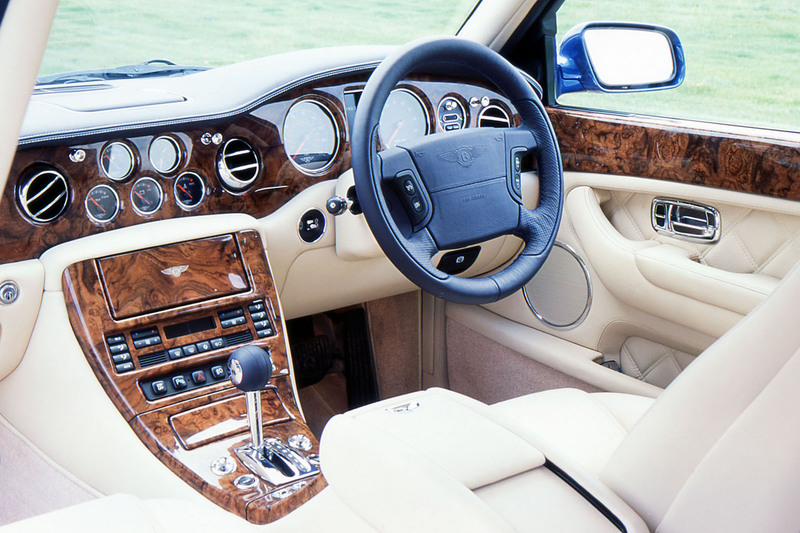 In 2000, the 4.4 was dropped, which left the Red Label to power the Arnage into the noughties – a mission it accomplished in style. The first big milestone was the launch, in 2001, of the RL. More than just a stretched Red Label, it was powered by a heavily revised version of the 6.75 engine, with Bosch Motronic fuel injection and two turbochargers. 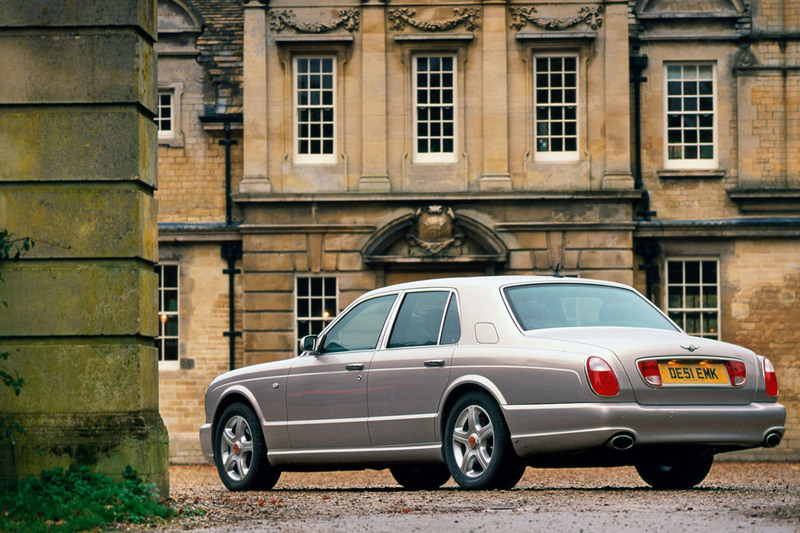 Power remained unchanged at 395bhp and 616lb ft but, thanks to its cleaner emissions, the Arnage’s future was secured. 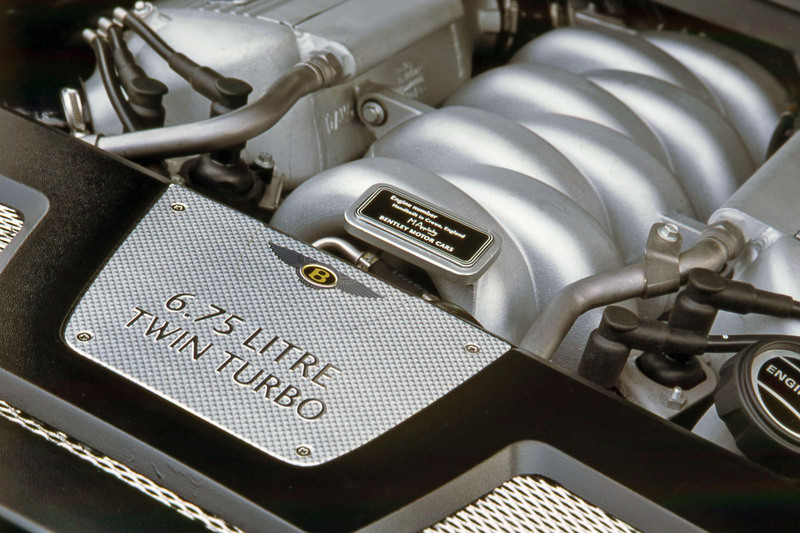 In 2002, the Red Label gave way to the twin-turbo Series 2 Arnage R, later joined by a hot sports version called the Arnage T with 453bhp and 645lb ft. If you can stretch to it (prices start at £22,995) and can afford the maintenance bills, this is the Arnage to buy. Better still is the post-2007 revised version with 493bhp and a scarcely believable 738lb ft. Prices for these start at around £42,000. There were special editions, notably those inspired by Bentley’s Le Mans successes. Eventually, with the Final Series in 1998, the Arnage bowed out. True, today, the cheapest Arnage may be the price of a new Fiesta and in no time could easily cost as much again to run but, as that old sage once said, it’s not money we’re short of: it’s time. Try it on your bank manager. An expert’s view, Danny Riley: “I’m the last former Rolls and Bentley Crewe-trained apprentice, now with my own specialist servicing business, so forgive me if I don’t get misty-eyed about the Arnage. 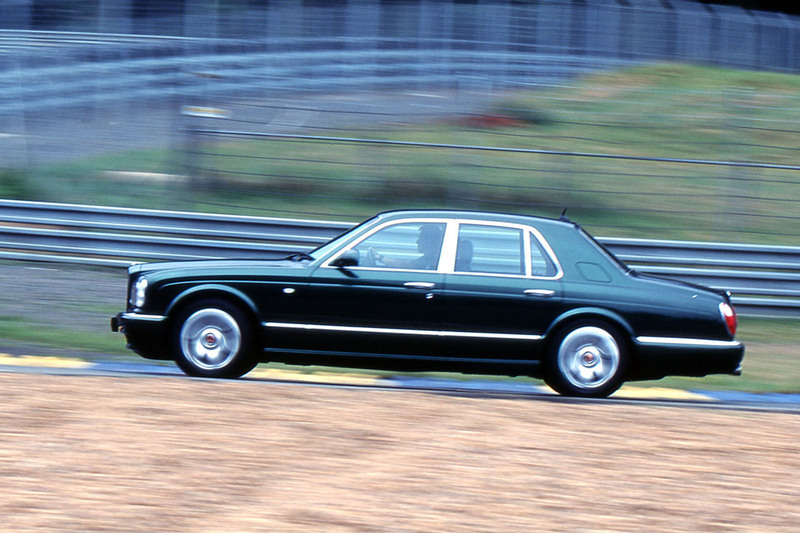 To me, real Bentleys ended with the previous SZ-series cars. The Arnage feels a bit plasticky inside, for instance, and rather than operate silently, the indicator stalk ‘clunks’. ENGINE - Oil changes with fully synthetic 5W-30 every 7500 miles or six months are essential. Early 2001-reg twin-turbo Arnages can suffer camshaft failure. Red Label cars from 2000 to 2002 experience headgasket failure from around 40k miles. The secondary air injection system’s pipework at the rear of the engine can leak and it requires the removal of the gearbox to fix it.The sump, head and rocker cover gaskets can weep oil if the securing nuts aren’t torqued at scheduled intervals. Hose leaks are common where clips aren’t checked and tightened. Brake pumps and air-ram pipes are located in the engine’s vee and often neglected. STEERING, SUSPENSION AND BRAKES - An overly hard ride can point towards failed gas springs at the rear (or a failed battery). Wandering steering is a commonly missed item at the MOT test. Front lower wishbone bushes wear. Discs and pads take a hammering. BATTERY - Electrical issues are almost always caused by having the wrong batteries. Check it’s a healthy Type 100 service battery and Type 75 starter battery. BODY - Galvanic corrosion can be a problem around the door handles, locks and window frames. Check the condition of the inner wings, which can rot. INTERIOR - Ensure the heater fan blower motor works on all speed settings. Window regulators are a weak spot, as is the indicator stalk. The Rolls-Royce and Bentley Specialists Association represents garages dedicated to upholding the high servicing and repair standards associated with the marques. It also represents companies that manufacture scarce parts to OE standards. Look for the RRBSA logo. £15,000-£19,995 - Early Arnage twin-turbo 4.4s with 100k miles and the first 6.75 Red Labels. £20,000-£24,995 - Red Labels around 50k miles. 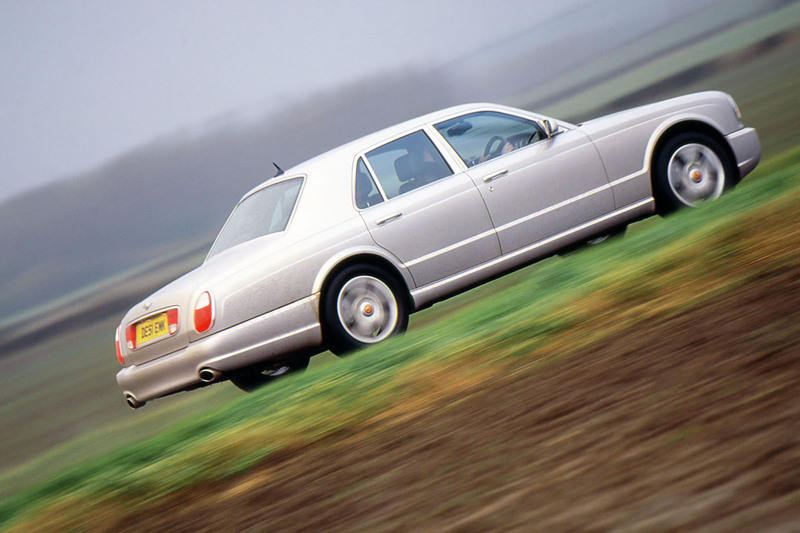 Higher- mileage 2002-reg Arnage Ts from £21,950. Also, 4.4s up to £22k. £25,000-£29,999 - More 2002 to 2005 Rs and Ts ranging from 30k to 60k miles. £30,000-£34,995 - Plenty more 2002-onwards Rs and Ts with up to 60k miles. £35,000-£44,950 - Facelifted Rs and Ts (from 2005). £45,000-£59,995 - The best 2007-2008 Ts. BENTLEY ARNAGE 6.75 RED LABEL, 2001/51, 57K MILES, £21,890: Comes with full Bentley service history and a 12-month warranty. Just pips a 2003/03 Arnage T for £22,995 that has only “service history” but is still tempting because it’s a better colour and has a 12-month AA warranty. Sorry, lovely as they are, but I would bottle it and take the fiesta or equivalent every time. Was at a Track Day last year and to show you the lines and braking points I and two others were taken round a lap or three in a Bentley, boy what an experience that was!, all that torque almost defying gravity, a truly memorable experience......! "I could afford to buy a used Rolls Royce, I just couldn't afford to run it"
While the current Arnage is stunning, it reminds you that Bently hadn't had a good looking car since the Continental. As for Rolls Royce, they've always been hideous.